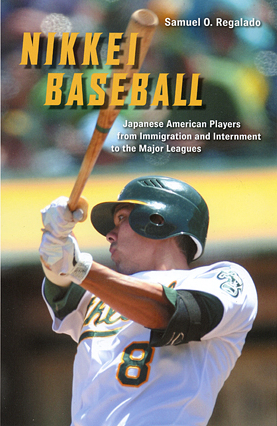 Samuel Regalado, author of “Nikkei Baseball: Japanese American Players from Immigration and Internment to the Major Leagues,” will speak at the Japanese American National Museum, 100 N. Central Ave. (at First Street) in Little Tokyo, on Saturday, May 17, at 2 p.m.
Regalado will talk about the history and importance of baseball in the Japanese American community. In the book, he explores key historical factors such as Meji-era modernization policies in Japan, American anti-Asian sentiments, internment during World War II, the postwar transition, economic and educational opportunities in the 1960s, the developing concept of a distinct “Asian American” identity, and Japanese Americans’ rise to the major leagues with star players including Lenn Sakata and Kurt Suzuki and even managers such as the Seattle Mariners’ Don Wakamatsu. This event is held in conjunction with the exhibition “Dodgers: Brotherhood of the Game.” The book is available at the Museum Store.